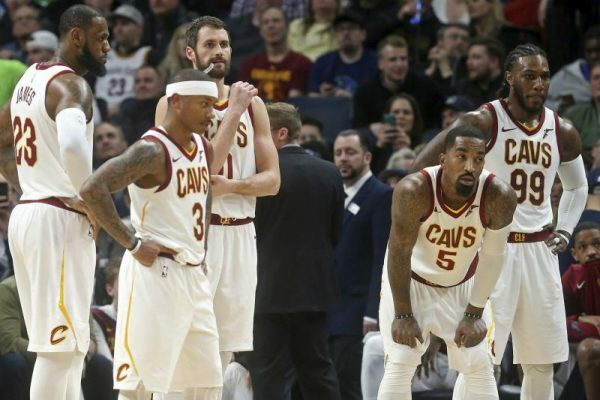 The mystery surrounding the Cleveland Cavaliers‘ Monday team meeting in which forward Kevin Love was confronted by teammates left uncertain which of the Cavs were the most vocal in their criticism of the veteran. However, the leader of the group appears to be one of the team’s newest members, point guard Isaiah Thomas. Love also missed the scheduled Sunday practice, which apparently sparked even more anger from Thomas and his teammates. The fiery Thomas returned three weeks ago after having missed the first two months of the season while continuing to rehabilitate a injured hip. The 5-foot-9 guard is hoping to land a major contract during the offseason, with this conflict no doubt raising speculation as to whether he’ll re-sign with the Cavaliers. The Cavaliers have struggled over the last month, having dropped nine of their last 12 games. Getting back on track over the next three months will require smoothing this issue over as the team seeks to go to the NBA Finals for the fourth year in a row.